Last week a quiet rural community was jolted awake by a school shooting that left scores of young people, adults, and families reeling. 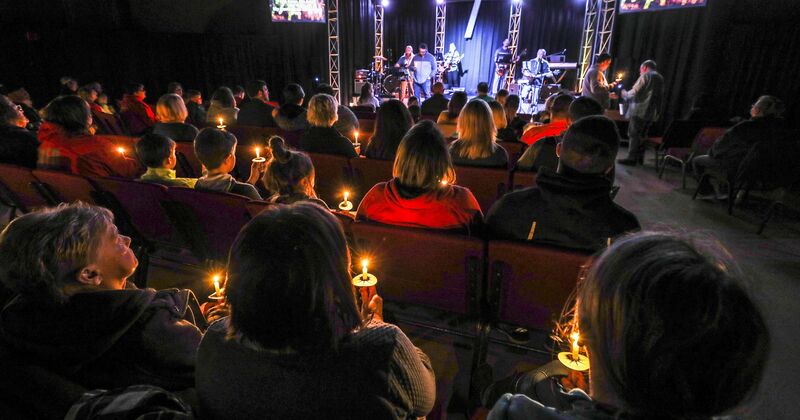 Marshall County, Kentucky continues to grieve as they seek to recover from an almost unspeakable act of violence, that left two precious young people dead and eighteen others wounded or injured. This was a tragic and horrible day for this community and for every family involved. As the community tries to recover, things will normalize but will be forever different from how things were before. “Different” in these type of tragedies is an understatement. According to the National Center for PTSD, 77% or more who witness a school shooting may develop post-traumatic stress disorder. PTSD is triggered by frightening or life-threatening events. Symptoms include pervasive and disruptive anxiety, nightmares, sleep difficulties, flashbacks, aggression, emotional detachment, social withdrawal, on-going emotional distress, and even physical pain symptoms. These responses are often temporary and ease with time. However some individuals may need psychological and spiritual counseling to be able recover and cope with PTSD. What can we do to help those who have gone through and survived such a terror-filled event? Observe behavior of those affected. Are they demonstrating symptoms of PTSD? Are they demonstrating behavior that demonstrates they need help or support? Be there. People often do not need wisdom or advice, they just need to know that they are not alone and someone cares. Acknowledge their pain and confusion. Let them know that you understand that this is a painful, overwhelming, or hurtful time. Assure them that they are having a normal reaction to an abnormal event. Intentionally listen. Focus on the person. Follow what the person is saying. Be conscious of body language. Maintain eye contact. Be comfortable with periods of silence. Fixate on what you can do, not what you cannot help with. Listen more than you talk. Actively offer comfort. Be with them. Listen to them. Walk alongside them. Shield them from further harm. Help them discover resources to help. Promote calming. It is OK to weep with those who are grieving, but remember that you are there for them and seek to focus on their needs not your own. Seek to help them reestablish normal activities and routines, such as eating, sleeping, exercise, etc. Allow them to grieve and express their grief. Grief takes time and most people pass through several stages of grief before ready to move on from the grief event. Everyone grieves differently and will pass through grief on their own timetable. Hugs and appropriate physical touches can offer healing and comfort. Pray with those hurting. Prayer connects people with God, who is the ultimate source of hope. Do not underestimate the healing that God often gives through prayer. Do not try to answer the why questions or offer theology lessons on how God acts in certain events. In the crisis, people need to know you care, not what you may or may not know. Let God speak for Himself to the person. Offer spiritual help when appropriate. Those with spiritual foundations recover from disaster events in more healthy and positive ways than those without spiritual roots. Remember to share how God has helped you in crisis times, not seek to force your faith on those affected. Be cautious in seeking to share Christ to those who have experienced emotional trauma, as we never want to wrongly manipulate vulnerable people. “Lord, be merciful to us! We wait for you. I am so thankful for the literally thousands of missionaries who serve the Lord in Kentucky each year through a variety of ministries. 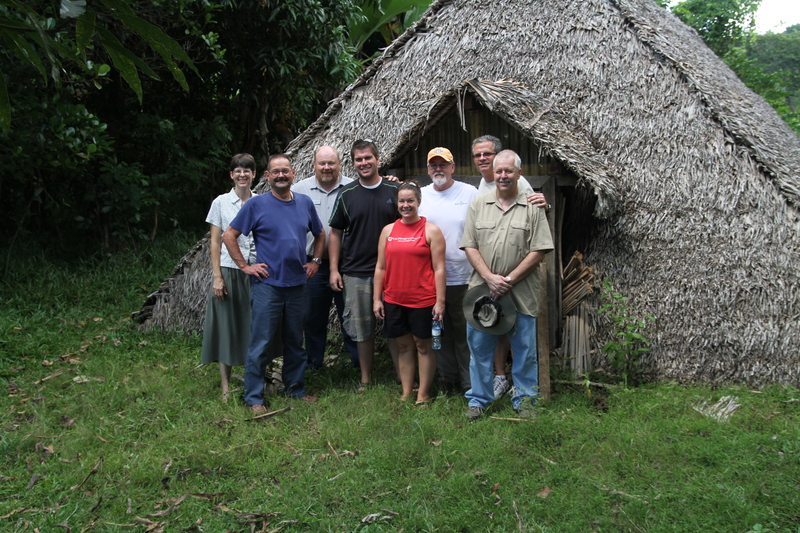 Whether one serves as a long term career missionary or a short term volunteer, you are considered a missionary, “if in response to God’s call and gifting, you leave your comfort zone and cross cultural, geographic or other barriers to proclaim the Gospel and live out a Christian witness in obedience to the Great Commission” (North American Mission Board of the SBC). Missionaries have met many of the physical, emotional and spiritual needs in Kentucky. Through personal sacrifice and service you have fed hungry children, provided shelter for homeless families, offered accountability for a recovering addict, discipled prisoners in the jail, provided job training for the unemployed, built a wheelchair ramp for the physically handicapped, and cooked meals for the hungry following a disaster. Why did you go on that mission trip? What prompted you to leave your job and move your family in order to serve? What motivates you as a missionary? Perhaps it is your compassion for the outcast, sympathy for the poor, or simply an overwhelming desire to help those in need. Our primary motivation for serving as a missionary should be the command of Jesus to “Go therefore and make disciples of all nations…” (Matthew 28:19). Our obedience to His call should trump any and every need that exist. We must be aware of the needs around us and always looking for ways to meet them in the name of Jesus. There’s nothing wrong with feeling compassion for the lost and hurting. But His command to “go” should be our driving force, not the hungry faces, homeless families or children in need. God is “no respector of persons” when it comes to calling out people to serve Him. In the Bible we see Him calling Moses at age 80, and Samuel and David as young boys. Currently there are 98 missionaries serving in various ministries across Kentucky. In looking over this list of missionaries, it was interesting to note that they range in age from 23 to 90. Four of them are in their 80s and, yes, one is still serving in his 90s. Jack Simmons, along with wife Wilma (who is in her 80s), heard God’s call to missions more than 26 years ago when they met a Director of Missions who told them about needs in Indiana. After looking over the area and trying to get something started, they just could not seem to get anything done. Eventually they realized that God was calling them back to Wilma’s home of West Point, Kentucky, where they began meeting with children in one of the trailer parks each week. Today, Jack and Wilma minister in two trailer parks. The children’s program includes Bible stories, crafts, play time, and refreshments. This ministry has also opened the door to minister by providing food, performing weddings and funerals, and making hospital visits and, at Christmas, they distribute gifts to the children. In addition to the trailer park ministry, Jack pastors a small rural church and Wilma serves as secretary for the Salem Baptist Association. Other Kentucky missionaries serving into their 80s are Pauline White, Shirley Barlow, and Pat Howard. Pauline White heard God’s call to leave her home in Florida and move to eastern Kentucky nearly 15 year ago. She served people in Harlan County as director of Shepherd’s Food Pantry, faithfully giving out boxes of food, and always sharing the Gospel message with them. Many were fed both physically and spiritually by her service. Pauline concluded her ministry with Shepherd’s Pantry at the end of 2017. Shirley Barlow felt God’s call in the early 50s to be more involved in missions. Today she directs River City Mission, a homeless shelter in Paducah. The shelter works with individuals to overcome addictions, secure work, get back on their feet so they can go back into society and resurrect their family situation, and commit or recommit their lives to Christ. Shirley works in all aspects of the ministry and her love for those she serves shines so brightly. Pat Howard has followed God’s call into a number of ministries during her lifetime. Pat’s heart has been in ethnic work for many, many years, and she has shared the hope of Christ with many through this work. Currently Pat serves as a regional mobilization consultant with the Kentucky Baptist Convention, where she helps to enlist and encourage missionaries in her region around Bowling Green, KY. It has been such a privilege to know and work alongside these missionaries. They have been, and continue to be, such a blessing to me and those they serve. Thank you, Jack, Wilma, Pauline, Shirley, and Pat, for giving to the Lord. Many lives have been changed s a result of your dedication to His work. As 2018 is here, let me encourage us to think about how we might use our lives for impacting others with the gospel. As I look at churches in general, I am encouraged that many have seen the paramount necessity to take a bold stand upon biblical truth. We stand upon the Word of God (the B-I-B-L-E, I know you remember that song!) as our sole source of authority for belief and practice. For this bold stand and action, those churches are to be commended. Yet, there remains an urgent need. One area of our Lord’s Church still seems to be deficient—disciple-making. The command of the Great Commission in Matthew 28:16-20 is a call to action. It is a command to “make disciples of all nations.” The issue at hand, then, is what is a disciple? Disciple means a learner or follower. Jesus says in Luke 9:23, “If anyone wishes to come after Me, he must deny himself, and take up his cross daily and follow Me.” According to this passage, a disciple is a self-denying, daily cross-carrying, follower of Jesus Christ. We could say, therefore, that a disciple is a life-long, radical, reproducing follower of Jesus. The question now arises as to how Jesus made disciples and whether He passed on a particular pattern for disciple-making? Jesus taught the masses, but He invested in just a few. Jesus ultimately passed on the enormous responsibility of global impact to eleven men. How were eleven men to reach the world with the good news of Jesus Christ? The answer is one person at a time. Jesus discipled twelve men (one was not a true disciple) and within the twelve he had three and even within the three he had one. We can see three aspects of Jesus’ disciple-making process: mentor, model and multiply. Jesus would mentor or teach the disciples about Himself and God’s Word. Jesus would also model what He taught. In other words, He showed the disciples how to live what He taught. This is much like Ezra 7:10, “For Ezra had set his heart to study the law of the LORD and to practice it, and to teach His statutes and ordinances in Israel.” After teaching and showing, Jesus would multiply Himself by sending His disciples to put into practice the things that they had heard and seen from Him. For example, in Matthew 5- 7, Jesus spent much time teaching the disciples. In chapters 8-9, He showed them how to minister. In chapter 10, He sends them out to do what they have heard and seen. Throughout the gospels we see Jesus mentor, model and multiply. As we think about making disciples in 2018, who might the Lord place in your path that you can point to Jesus and help them grow in Him? The pattern for Jesus’s disciple-making is reproducible. In fact, it’s simple. It’s relationships. Mentor, model, and multiply. In doing so, we reach Louisville and the world one person at a time. 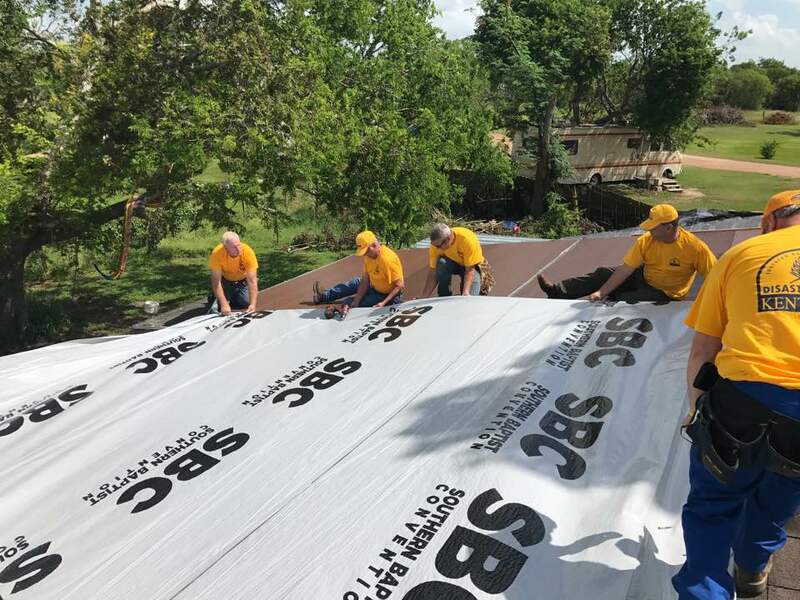 Kentucky Baptist Disaster Relief offers several training opportunities every year for volunteers to become trained in disaster response and get connected with this Christ-centered ministry. People that are not connected with trained and self-sustaining organizations often rob resources from those suffering in the midst of a disaster. Untrained people are much more likely to get injured, hurt, or expose themselves to health hazards, as they are typically unfamiliar with potential risks in a disaster zone. Untrained volunteers are often unprepared to provide appropriate assistance and correct information to those affected. Untrained volunteers lack expertise to genuinely help those who have suffered loss, and are unprepared to handle the emotional trauma of victims. Untrained volunteers are unprepared to work long, stressful days in austere and rugged living conditions. Spontaneous volunteers typically lack familiarity with situation assessments and incident management. Because of this, they usually end up being in the way, rather than providing meaningful help. Untrained volunteers create atmospheres where scam artists, who seek to prey on hurting and vulnerable people, can get access into disaster settings under the guise of being a volunteer. Disasters will come. Therefore, let me encourage you, be prepared to serve by being trained. Victims deserve that. Other disaster relief workers deserve that. But most of all, our God deserves that! A little training goes a long way in making us more effective and prepared to serve with excellence for the glory of our Lord. For more information, contact the Kentucky Baptist Disaster Relief office by phone at (502) 489-3527 or (866) 489-3527, by email at [email protected], or register for training at www.kybaptist.org/dr/.